This morning I had the RSPB May-June BirdLife magazine delivered to my door. As soon as I opened it I turned straight to the letters page and saw that the letter that I sent in a few months ago about recording badgers last year had been given star letter and I also won a prize, which was an electronic thesaurus. Below is a photo of my feature in this BirdLife magazine. 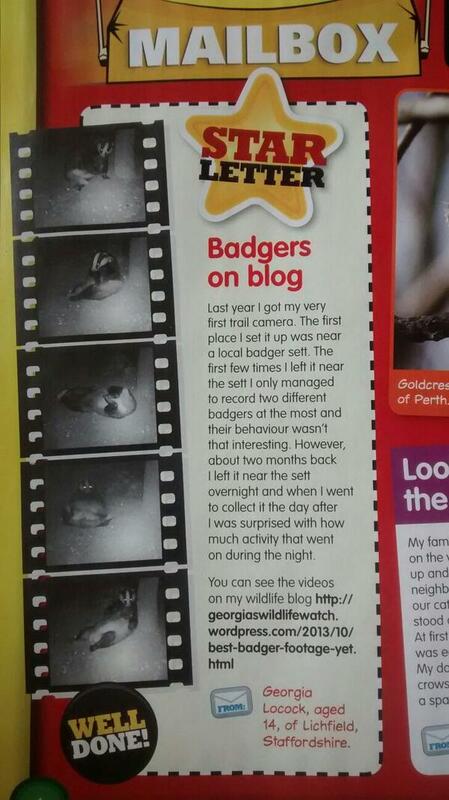 Here’s the badgers that I film featuring in the RSPB’s BirdLife magazine. 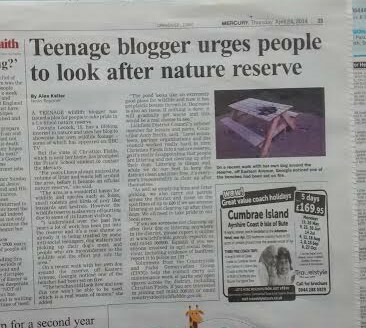 Here’s the printed article in the Lichfield Mercury on page 23. I came across your blog by reading the magazine called Bird Life. I can’t believe that you actually managed to get footage of badgers. I am also a kid blogger like you. My blog is called: littlemiabigworld.com. I was hoping that we could be friends.